BERLIN -- Thousands more German industrial workers took part in strikes, continuing a series of walkouts in support of trade union IG Metall's demands for a 6 percent pay rise and a right to the first new cut in weekly working hours since the 1980s. 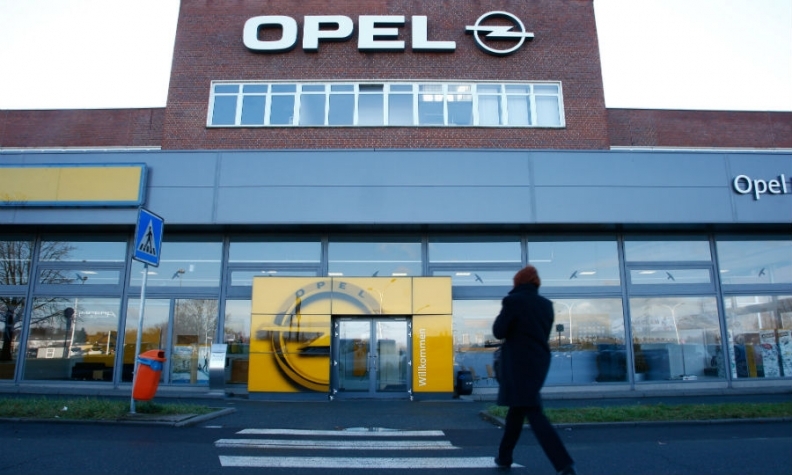 Over 30,000 workers downed tools on Wednesday morning, including over 8,000 staff at Opel factories, IG Metall said in a statement. "It's a strong signal for pay talks and for PSA in France," IG Metall chief Joerg Hofmann said of the strike at Opel's main site in Ruesselsheim. PSA acquired Opel-Vauxhall last year and has been pursuing a restructuring plan to return it to profitability. Wednesday's strikes mean around 468,000 industrial workers have taken part in action since last week, the union said. On Tuesday workers staged strikes at BMW, Daimler, Robert Bosch, Schaeffler and ZF Friedrichshafen. Warning strikes are a common tactic in sector wage negotiations in Germany. Employers have offered 2 percent plus a one-off 200-euro ($239) payment in the first quarter. They have rejected demands for a shorter working week unless hours could also be increased temporarily as well to maintain output. They argue that workers in Germany's industrial sector already have shorter weeks than their peers in other countries and reducing their hours further would hurt German competitiveness. With Europe's largest economy steaming ahead and unemployment at a record low, IG Metall is confident of winning a significantly better deal for around 3.9 million workers in the metal and engineering sectors. IG Metall said it would decide on Jan. 26, after the current round of wage talks, whether to escalate the dispute into 24-hour strikes.